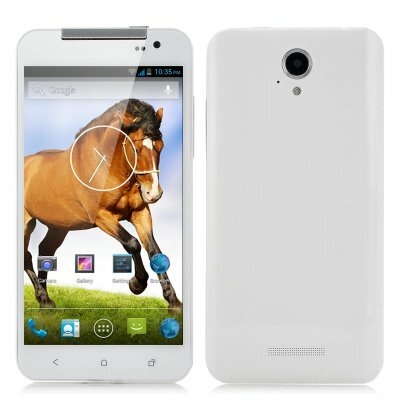 Successfully Added 5 Inch 3G Android 4.2 Phone - MTK6589 Quad Core CPU, 8 Megapixel Rear Camera, 1280x720 Screen Resolution (White) to your Shopping Cart. 5 Inch 3G Android 4.2 Phone that comes at a budget price uses a MTK6589 Quad Core CPU, 8 megapxiel rear camera as well as having a screen resolution of 1280x720. This budget phone is ideal for anyone wanting to have a quality made phone that does not come with an expensive price tag. A 5 inch display makes this phone a convenient size to manage as it is easy to handle while not being too big to carry in your bag or pocket. Supporting 3G, this 5 inch budget priced phone allows you to call or surf the internet from almost anywhere in the world. Featuring an Android 4.2 Operating System, this 3G phone allows the user to customize and personalize their own lay-outs as well as accessing the online Google play store to download and install additional applications such as Facebook, Twitter, Angry Birds etc. It may be budget in price but not in specifications as this phone has a MTK6589 Quad Core CPU, which can reach speeds of 1.2GHz to give the user an excellent performance. An 8 megapixel rear camera allows for great photography and video recording as it captures all your images and footage in high quality plus there is also a 2 megapixel front-facing camera to take self-portrait photos and engage in online web chats. Not only to be used as a great mobile phone for communication, this 3G Android phone is ideal for multimedia especially as the resolution of the screen is 1280x720 resulting in visual brilliancy. 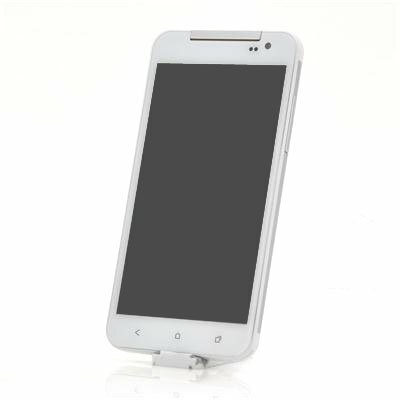 This 5 Inch 3G Android 4.2 Phone can be dispatched within one working day and comes with a 12 months warranty. Brought to you by the leader in wholesale Android Phones, Chinavasion.